Owners of land and buildings have to pay Real Property Tax every year. A tax that you can pay annually or quarterly but I have no idea about quarterly since we are going to pay it every year. 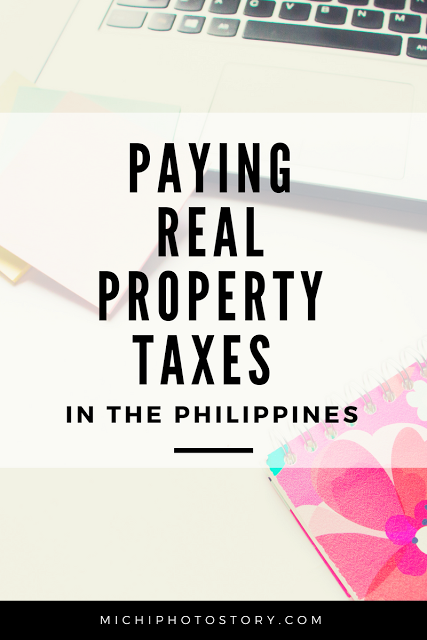 Last Friday was our first-time experience to personally pay our Real Property Tax (RPT) because for the last two years we already issued post-dated checks to our Developer for our RPT. We went to our municipal office to pay our RPT, we’re expecting long lines but it took us only a few minutes to pay it. We just gave our Official Tax Receipt from our Developer and pay the fee. That’s it! Real Property tax payments are made at the Land Tax Division of the City Treasurer’s Office (CTO). Fair Market Value: Based on the Schedule of Fair Market Values proposed by the City Assessor and approved by the Sangguniang Panlungsod. The discounts depend on where you live but it ranges from 10 to 20% or even higher in some places. The deadline for the discount varies too, it depends on where you live, some places until January only while other places until March. And because I want to save money, I want to pay our RPT every December so I won't miss the discount.